A certificate authority or certification authority (CA) is an entity that issues digital certificates. 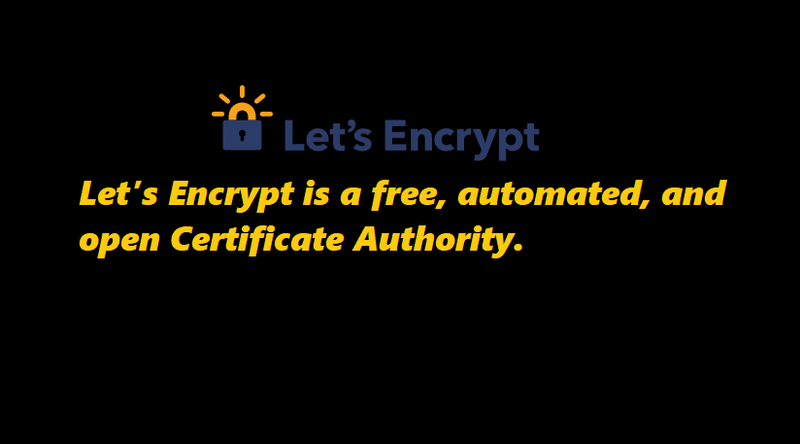 A digital certificate certifies the ownership of a public key by the named subject of the certificate. This allows others (relying parties) to rely upon signatures or on assertions made about the private key that corresponds to the certified public key. A CA acts as a trusted third party—trusted both by the subject (owner) of the certificate and by the party relying upon the certificate. The format of these certificates is specified by the X.509 standard. To figure out what method will work best for you, you will need to know whether you have shell access (also known as SSH access) to your web host. If you manage your website entirely through a control panel like cPanel, Plesk, or WordPress, there’s a good chance you don’t have shell access. You can ask your hosting provider to be sure. First get a public IP by creating a VPS on any cloud service. Give a DNS name to that public IP. https server is ready to use, test it with a browser. Article credit : Vishal C. Poddar.